Stainless steel, originally known as the “Rustless steel”, has held its appeal time and again since its inception in the year 1913. Discovered in Brown Firth Laboratories by Harry Brearley, it proved to be a miracle for many significant industries and for a sustainable future ahead, stainless steel would always be the first choice. But what are the reasons that imply its bright future? Let’s explore some of the most adorning features of stainless steel and how it will have a definite future. Due to its resistance to corrosion, as well as the requirement of little maintenance, these stainless steel tanks have long useful lives which average out to be 40-60 years and its architecture and design are such that it can sustain for a much longer time under adverse weather conditions. Since it is a rust free material the overhead cost of its maintenance is very low, saving your time and effort over its cleaning as well. Hygiene is the prime concern for everyone. Healthy living is a right of every citizen and so is the access to clean water. Though many measures have been undertaken the time and again to uplift the sanitary condition of the water, it still remains a major problem. Most modern house design in India or outside are adopting stainless steels due to its contamination free structure where it restrains the growth of bacteria and other deadly diseases that are born in water. Easy clean-ability makes it the first choice for strict hygienic requirements. With the latest home floor plans, people are now preferring the use of SS tanks over their rooftops. Even national standards have been set to ensure their quality and acceptance in complex areas or societies. Stainless steel is perfectly recyclable. Yes, that’s true. It can be recycled repeatedly with no loss in this infinite process. It does not lose its strength, durability or quality at the end. 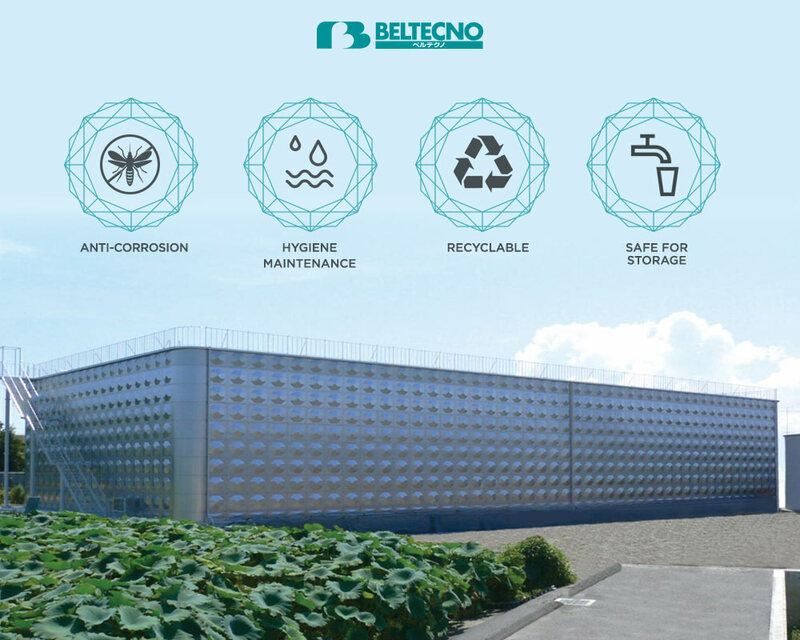 Thus, it is a cost-effective and environment -friendly process because sustaining environment today is the real deal and using a recycled stainless steel saves energy and reduce water pollution. For the food and beverage industry, stainless steel tanks are the foremost choice for storage. The dairy processes are particularly susceptible to quick contamination and only a high level of hygiene can make their storage safe. Stainless steel tanks ensure safe-handling and processing of milk giving a drop to the baseline cost of their production. Not only limited to dairy, it is favoured by other food and beverage industry like wine or beer. Since it is easily cleaned and could be sanitized to prevent any kind of contamination, it ultimately reduces food loss and does not affect the taste of food. Commercial food equipment, in restaurants, cutlery, sinks and other kitchen appliances are all made of stainless steel since it retains its look under every temperature and is neutral in all kinds of food context.